Hubble Space Telescope (HST) is an orbiting astronomical observatory operating from the near-infrared into the ultraviolet. 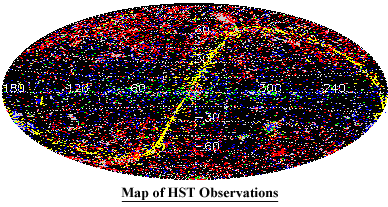 Launched in 1990 and scheduled to operate at least through 2020, HST carries and has carried a wide variety of instruments producing imaging, spectrographic, astrometric, and photometric data through both pointed and parallel observing programs. MAST is the primary archive and distribution center for HST data, distributing science, calibration, and engineering data to HST users and the astronomical community at large. 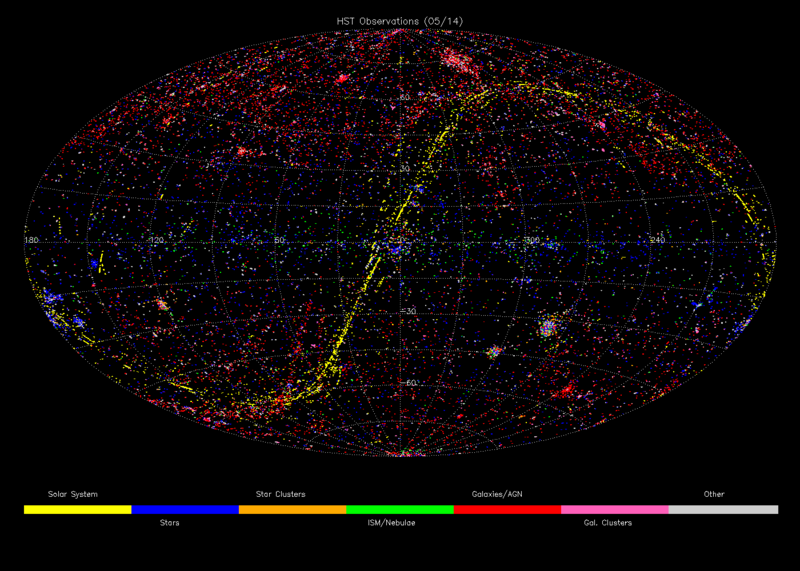 Over 500 000 observations of more than 30 000 targets are available for retrieval from the Archive. Real Time Satellite Tracking for HST.